She would ask every day, the Prussian soldiers she billeted, ""Do you know where the French marching regiment, No. 23, was sent? My boy is in it." Then she got the news. MADAME SAUVAGE: This letter is to tell you sad news. Your boy Victor was killed yesterday by a shell which almost cut him in two. I was near by, as we stood next each other in the company, and he told me about you and asked me to let you know on the same day if anything happened to him. I took his watch, which was in his pocket, to bring it back to you when the war is done. 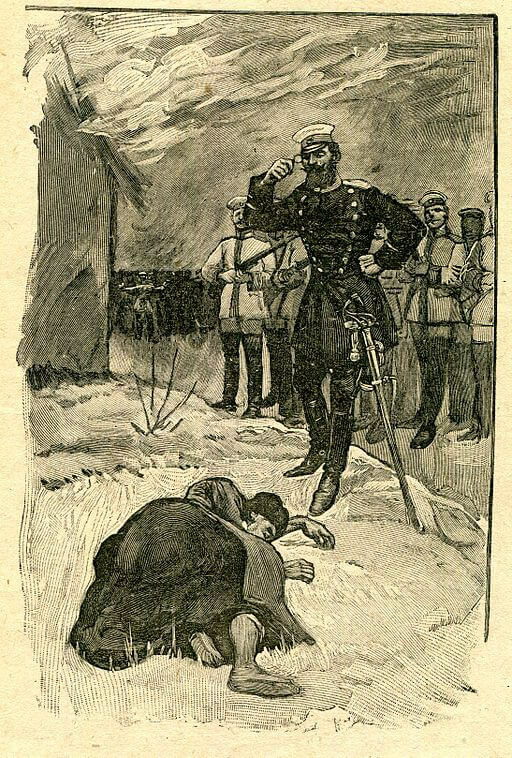 You may be interested in reading a similar story about a grieving mother harboring the enemy, who just learned of her soldier-son's death, Rudyard Kipling's Mary Postgate. Add Mother Sauvage to your own personal library.